Napoleons Reversible Cast Iron Griddle is the perfect addition to your outdoor kitchen. The possibilities are endless for the Reversible Cast Iron Griddle. Season it like you would your grandmothers cast iron frying pan, the black cast iron with porcelain coating gets better every time you use it. The convenient little holes in the top allow grease to drain away from your food. Expand your outdoor cooking menu with the Mountain Series Steel Griddle 20. Made exclusively for the Outdoor Camp Oven, this griddle is designed to heat evenly making the perfect cooking surface. Raised edges make cooking even easier and will help keep the mess to a minimum. Perfect for pancakes, paninis, burgers and more. 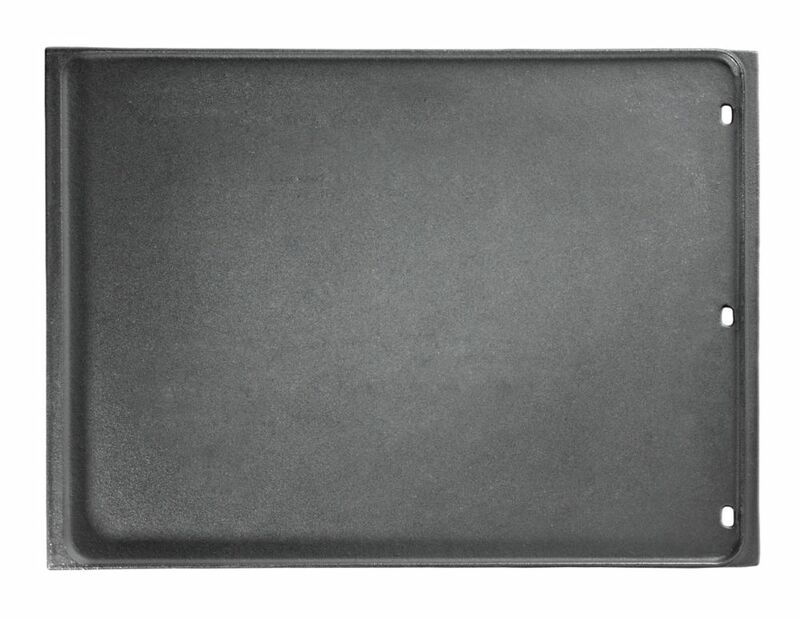 This griddle offers a 11.5 inch x 19.5 inch cooking surface. Cast Iron Reversible Griddle for Large BBQs Napoleons Reversible Cast Iron Griddle is the perfect addition to your outdoor kitchen. The possibilities are endless for the Reversible Cast Iron Griddle. Season it like you would your grandmothers cast iron frying pan, the black cast iron with porcelain coating gets better every time you use it. The convenient little holes in the top allow grease to drain away from your food.